If a cavity or other problem takes place inside a tooth it might not even be possible to tell with the naked eye what is the exact issue and what is the best way to treat it. This is where dental x-rays are very helpful. Much like all x-rays, they penetrate the soft tissues and reveal the stricture of the bones on either a film or digital sensor. 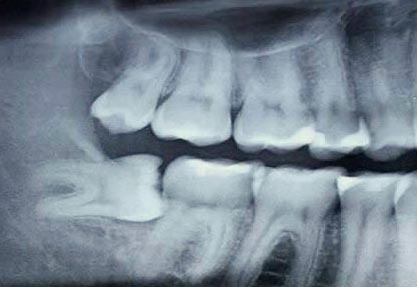 Dosage of dental x-rays: the amount of radiation received from a single dental x-ray is quite small. A typical x-ray will cause no more radiation exposure then several days on exposure to the sun. Check out this page from the International Atom Energy Agency if you’re unsure or looking for more specific numbers or details on radiation exposure during dental x-rays. For Example: one can see this wisdom tooth is growing in crooked, or at such an angle that is will cause a disturbance to the rest of the rear teeth and will probably have to go for a wisdom tooth extraction. The specific amount depends on the two main factors,- the type of scan and the technology used. There are several specific scans available, but generally can be described as either a panoramic scan, where the entire jaw is x-rayed including the top and bottom rows of teeth, and a location specific x-ray where only several teeth are scanned (just like the above example). The main difference is the resolution – a panoramic scan will show less details then a section specific scan. 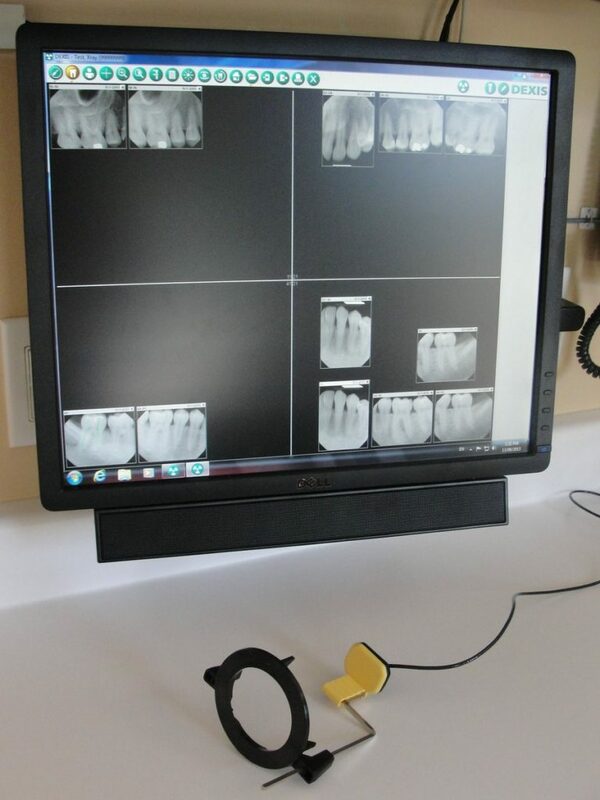 Here at the Clarkson Dental Centre we employ modern x-ray technology that focuses in on one section of teeth at a time, so that we can fully investigate and be aware of any potential problem. - It’s environmentally friendly. There are no processing chemicals or lead foils to dispose of. - Saves time, images are instantly on the screen, no processing time!